A tachycardia is a heart rate exceeding 100 beats per minute. A tachycardia can be either physiological (normal response) or pathological. Examples of a physiological tachycardia are during exercise, in pregnancy or in situations of anxiety or excitement (“flight, fright, fight”). A pathological tachycardia can be due to either a primary cardiac abnormality or a non-cardiac factor. Non-cardiac factors may include anaemia, over-activity of the thyroid gland, dehydration, or chronic liver disease. In these situations the heart itself is normal and is purely responding to increased “demand” due to other abnormalities. Tachycardia of primary cardiac origin is best classified according to the site of origin of the electrical activity generating the heart rhythm. There are four chambers in the heart with the two upper chambers (atria) being electrically connected to the lower chambers (ventricles) via an atrio-ventricular node (AV node). 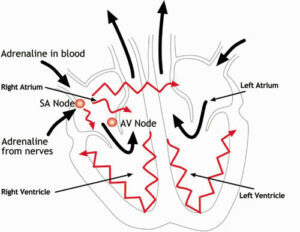 The electrical impulse is normally generated by the sino-atrial node (SA node), situated in the right atrium. If tachycardia is suspected, investigations are conducted to diagnose the exact nature, as treatment depends on the type of tachycardia. 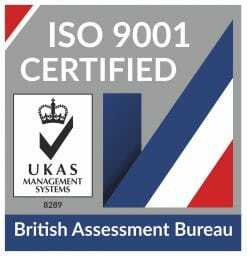 Tests may include resting ECG, 24 hour ECG recording (Holter monitor), exercise ECG and in some rare cases, an invasive electrophysiological study. The patients may also need investigations to look for other heart disease causing tachycardia (e.g. high blood pressure, coronary artery narrowing). Obviously, non-cardiac causes of tachycardia also need to be investigated (e.g. thyroid disease). Treatment is mostly by medication (e.g. beta-blockers) but in some cases may require radiofrequency catheter ablation or implantation of pacemakers or defibrillators. Other factors contributing to heart disease also need addressing.